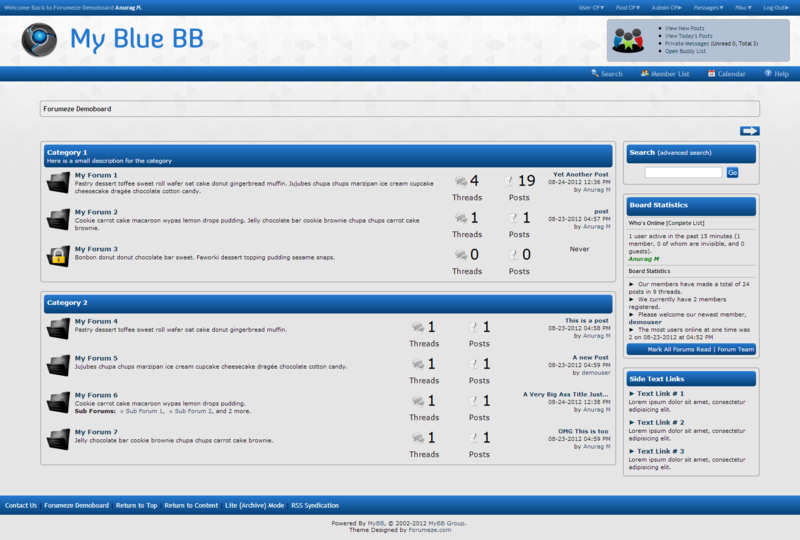 A simple, detailed grey & navy blue theme. Inspired by ZetaBoards. 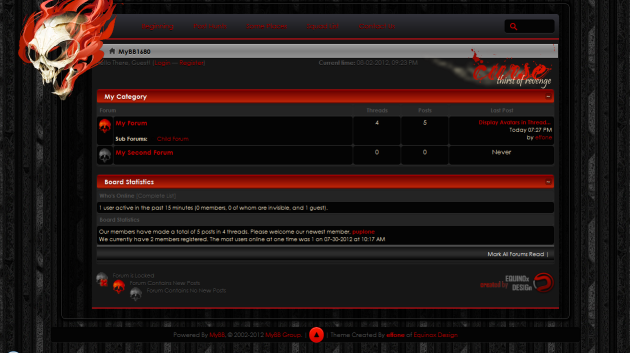 Simple red ranks, slightly modeled after MyBB&apos;s buttons. 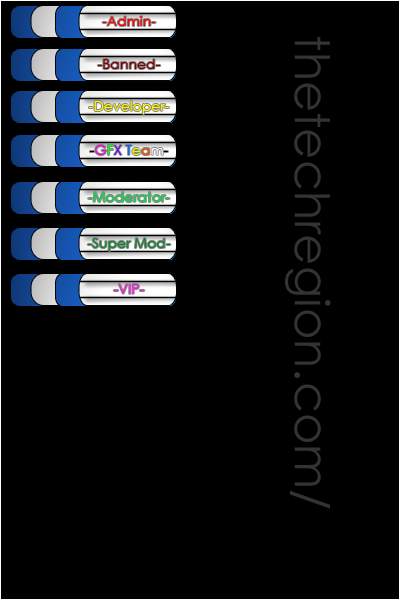 Blue and White User Group Buttons for profile. 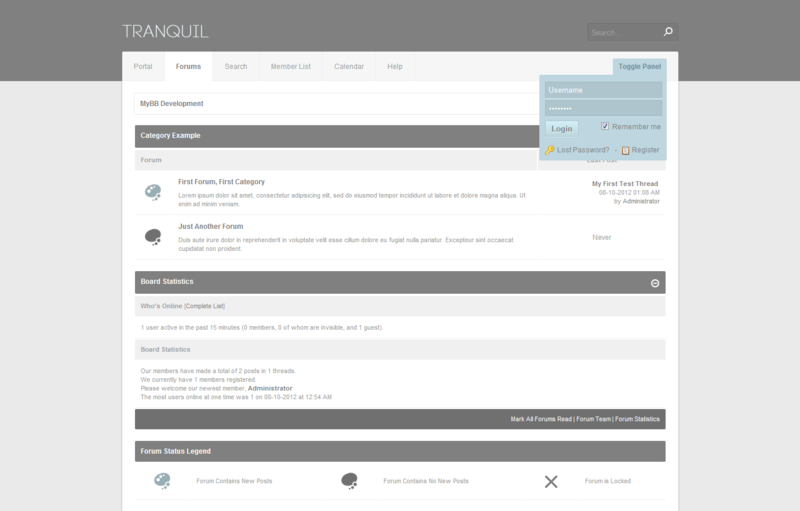 Tranquil 1.1 von Jessie S.
A simple theme featuring some great jQuery implementations that can be easy customized to suit your forums niche, whatever it may be.